Yoohoo! I'm finally done with my business card design.. 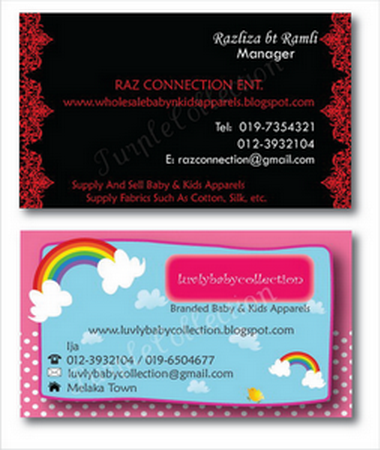 These two business cards were designed specially for Razliza. 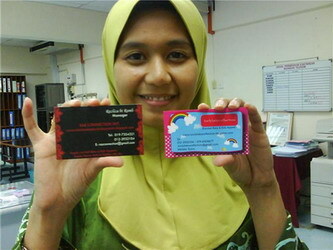 This is Razliza, so happy with her business cards! Feel like having a cute and kawaii business cards? Feel free to contact me! I love to design cute things!